GREAT BIT OF KIT !! Ordered this along with the Carradice Camper Longflap saddlebag. I Have An Older Expedition Which Is A Lot Bigger Than The One I Just Received. What Happened? The new one does not support the whole bottom of my Camper. Somewhat disappointed. Hi Craig I suggest you contact customer services so we can work out what has happened. Thanks. It says maximum load of 10 kg. Is this measured with the bag or is it camping gear/grouceries alone? Ido have a Camper and it weight is almost 1kg. How will it be with 9kg loaded rig on the Bagman and you are touring of road with lots of potholes will it support the weight or will the rails break? The maximum load will include the weight of the bag so if your bag weighs 1kg then you'll only be able to load it with 9kgs worth or items. The Bagman is designed to cope with most road conditions when fully loaded at 10kgs, so will cope with the occasional pot hole, however it is not designed for off road or track use so we would not recommend taking it into these conditions when fully loaded. Does The Expedition Rack Fit For The Junior Bag Too? I own a Carradice Junior Saddle Bag wich is perfect for day rides. For the longer tours I will buy a bigger bag such as the Nelson or Camper Longflap, but I dont't want to buy two different racks. Since the height difference between Junior and Nelson is only 1cm this shouldn't be much of problem?! 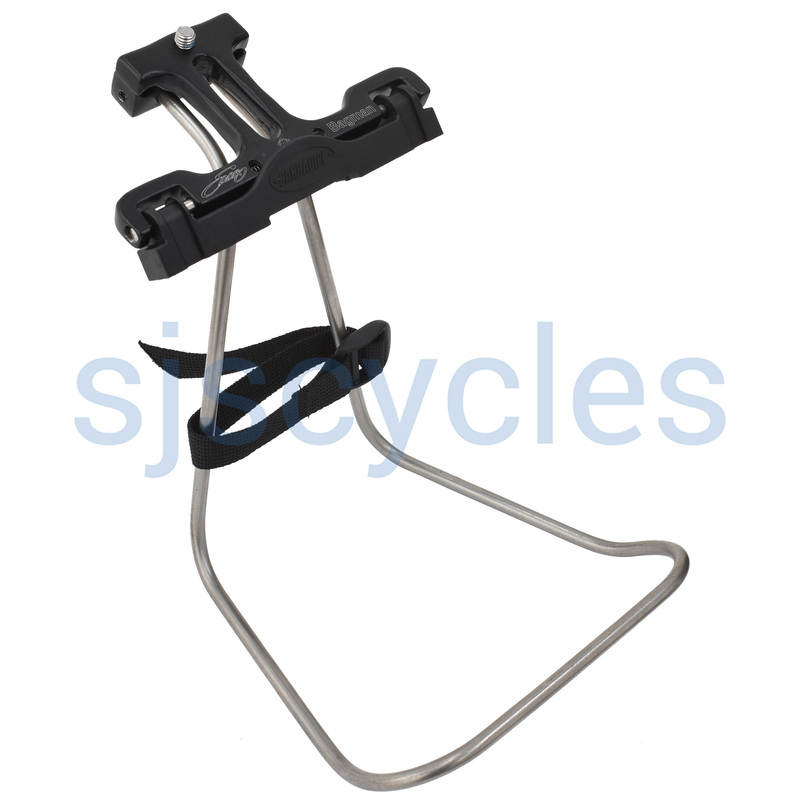 You will be fine to fit your Junior saddle bag to this Expedition Bagman rack as well. Is There Another Carradice Camper Quick Release Alternative For Brooks Saddle With Springs? The only thing we'd be able to recommend instead would be the Carradice SQR uplift system as this fits to the seatpost rather than the saddle rails like the Bagman system. These are SJSC part number 621. Do you have the "Carradice Original Bagman Quick Release Support Expedition" (SJS Cycles Part Number: 34051) really on stock? If it is showing as in stock on the website it means we do physically have stock here that we are able to send out if the item is purchased.